The Symphony of Southeast Texas is pleased to announce our second Pops Series performance of the 66th season. Our concert on March 2, 2019 will feature The Texas Tenors. Since their whirlwind debut ten years ago on NBC’s “America’s Got Talent,” The Texas Tenors have accumulated a long list of accolades as well as an enthusiastic fan base. Awards include three Emmy Awards for the PBS special “You Should Dream.” They have also performed more than 1000 concerts around the world including a 24-city tour of the United Kingdom and China. Collaborations include some of the most prestigious symphonies in the United States including the Cleveland Pops, Houston Symphony and the Pittsburgh Symphony to name a few. Tonight, The Texas Tenors will perform a selection from their recent recording, RISE. The show features the trio backed by a full symphonic orchestra with original orchestrations. Selections will also include favorites such as John Denver’s “Take Me Home, Country Roads” to “E lucevan le stelle” from Puccini’s Tosca. Tonight’s concert showcases the wide-ranging talent of JC Fisher, Marcus Collins and John Hagen as they pour their collective hearts and souls into favorites such as “Desperado,” Bruno Mars’ “Just the Way You Are” and a stirring rendition of “God Bless America.” SOST is pleased to present these talented singers to their many fans in our audience. Please join us Saturday, March 2, 2019 at 7:30pm at the Julie Rogers Theatre for Pops Series II. This amazing show is made possible thanks to the support of our concert sponsors Jan Allred and Mason Construction. Our sponsors help the Symphony of Southeast Texas play a role in the education, entertainment, and cultural enrichment of all residents of Southeast Texas. 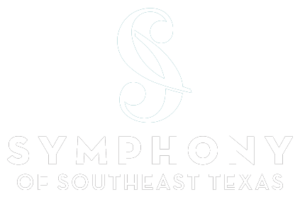 The Symphony of Southeast Texas, embarking on its 67th season, is a regional, professional orchestra based in Beaumont, Texas. The Symphony performs a number of subscription concerts, educational programs and other concerts throughout Southeast Texas each year. SOST’s home base is the Julie Rogers Theatre in downtown Beaumont. The orchestra is composed of local musicians from the Beaumont vicinity, as well as many musicians from the Houston and Lake Charles areas. Selections from the upcoming Classics Series include Faure’s choral masterpiece Requiem and Ravel’s Daphne and Chloe Suite No. 2.